Police are hunting a man who took his daughter from his partner and left her at his family home in Libya. Maher Belaid, released from prison on licence after being convicted of abducting Talia Belaid, has gone missing from his home in Hertfordshire. A High Court judge heard the latest stage of family court litigation launched by Talia's Polish mother, Malgorzata Szymanowicz. Belaid took Talia while Ms Szymanowicz was shopping near her home in Cardiff. 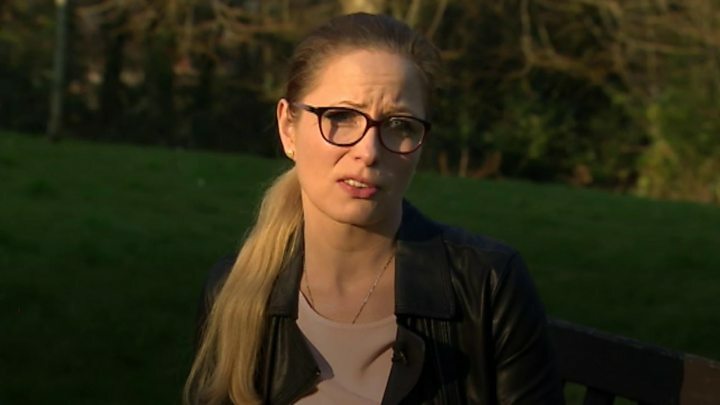 Ms Szymanowicz told BBC Wales it was the "worst day of her life" when three-month-old Talia was taken, and she could not have imagined her life without her. The family was living together in November 2012 when Belaid said he was going to a coffee shop. Instead, he abducted the baby and took her to his mother in Libya. In 2014, Belaid was arrested after returning to south Wales and was jailed for four years for child abduction. He was released on licence in August 2017 and had been living in Hatfield. However more than six years since her daughter was taken, Talia remains in Libya and, Ms Szymanowicz is still fighting for her return to Britain. She said while Belaid promised Talia would return to Britain, his mother has not agreed. Her only contact with Talia, who turns seven in July, has been via Skype. "I see my daughter and she sees me, she knows that I am her mum and I think that everything will be OK and she will be back to me," she added. But when Ms Szymanowicz heard Belaid was missing, she said she was "very shocked and very upset" to lose her only link to Talia. Even the Skype calls stopped in November last year, and now Ms Szymanowicz does not know where Talia is. "I was worried something would happen like this... I hope that his mum, she will bring my daughter back. "My daughter, she's everything that I have... it's nearly seven years that I didn't see her, I think that's so much to be without her... he always said I am a good person and special for Talia, she should be with me. "You can't do things like this, to anyone." Ms Szymanowicz has launched a fresh round of litigation in a family court in the hope of getting Talia back. Barrister Mark Jarman, who represents Ms Szymanowicz, outlined developments to Mr Justice MacDonald at a hearing in the Family Division of the High Court in London. Mr Jarman said Belaid could be returned to prison, for breaching the terms of his release on licence, when found.